"Money makes the world go round, but only energon can fuel it." Shrapnel is a Decepticon hero of the great war. 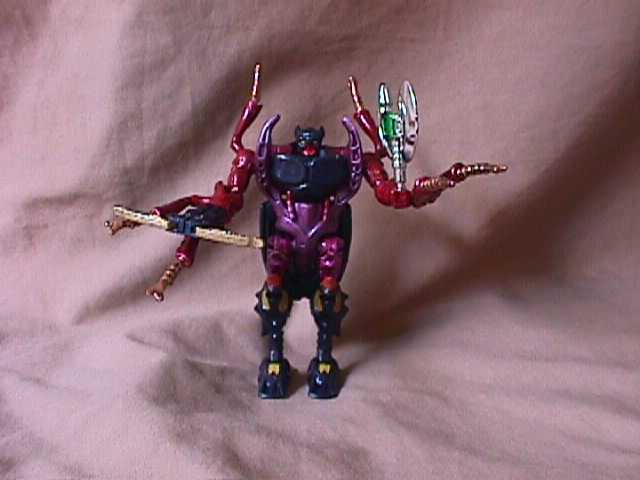 Because of his expertise in energy manipulation, he was granted amnesty after the war, and given a new Predacon body. He became an expert on the refinement of energon crystals into a useable state. His resentment towards the Autobots, and their descendants, the Maximals made him a perfect recruit for the new Megatron. 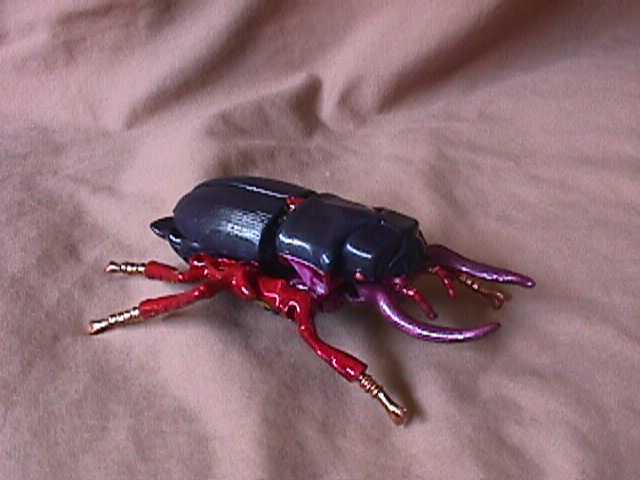 With him, the Predacons can extend their energon resources farther than ever, not to mention drawing upon Shrapnel's knowledge of the first great war to help defeat the Maximals. In his new body, Shrapnel can fly at low altitudes with extreme maneuverability, his mandibles can clamp onto, and pierce most armor. In robot mode, he uses an electro axe, and a cross bolt launcher that fires his shrapnel grenades at unsuspecting foes. 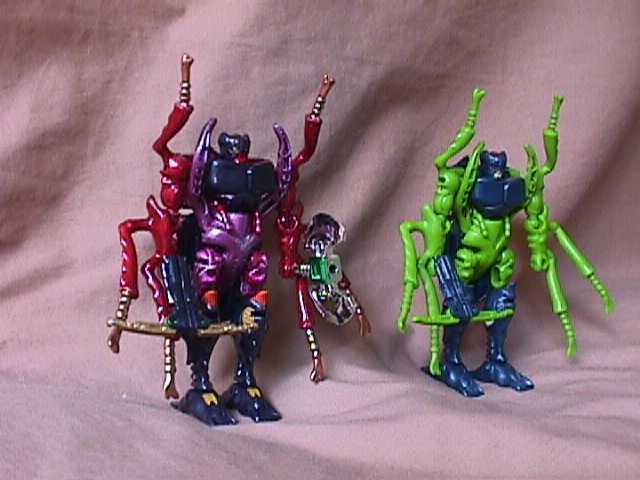 In addition, the two upper insect legs act as lightning rods, collecting electricity which can be fired from the four lower legs on his forearms. Though this can be a devastating weapon, it is useless against a grounded target.